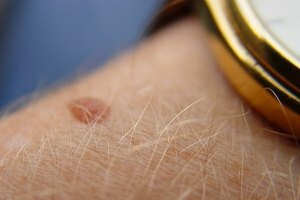 Warts are relatively common, and almost everyone seems to get them at some point. Often, these ugly skin deformities sneak up when you are least expecting them. The good news is that removing a wart is easier than you think. Before you head to the doctor or the pharmacy, take a look in your medicine cabinet--aspirin can be used to cure warts naturally. One of the most common ways that aspirin is used to cure warts is with water. Mix a small amount of water with an aspirin tablet. Make sure the tablet is thoroughly mixed with the water. Use a cotton swab to apply the mixture to the surface of your wart twice a day. Do this until the wart is completely gone. If you do not kill the wart completely, it will grow back. Another method for removing warts uses an aspirin and an adhesive band. Wet the aspirin so it is damp. Place the aspirin directly on your wart and cover with an adhesive band. This method requires less effort than the water-and-aspiring method. It is important to be sure that the aspiring is damp. Combining aspirin with duct tape for wart removal seems to have the same effect as over-the-counter wart removers at your local pharmacy. Crush an aspirin and place the powder directly onto your wart. Place a small strip of duct tape over the powder. Note that with each of these aspirin wart-removal methods, there is some chance of dry skin around the wart. If this occurs, gently apply Vaseline around the wart to soften the skin.